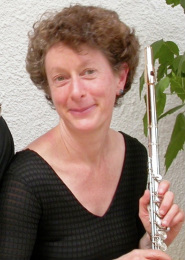 I am a freelance flute and recorder player living in Ashland, Wisconsin. I have performed regularly with the Duluth Superior Symphony Orchestra and Summer (Mostly) Thursdays. I have over 30 years experience teaching as well as planning and providing music for weddings, concert series, and other special events. I have taught students at Northland College in Ashland, WI and the University of Minnesota, Duluth. I conduct the Pernambuco string ensemble for Northwoods Strings in Hayward, WI. As a Suzuki specialist, I now offer lessons in the Suzuki style to flute and recorder players as young as 4 years old and welcome “taller” students of all abilities and ages to my flute and recorder studios in Duluth, Hayward, and Ashland. Skype lessons are also available. Need based scholarships are available. You will also find me coaching adult musicians at the annual Woodland Chamber Music Workshop in Tofte, MN. Additionally, my Silver Spruce Duo performed for Minnesota Public Radio's Artist-in-Residence 2013/2014 outreach program. My recording of Rick Sowash's "Christmas Ceremony" with cellist Josh Aerie is now available on iTunes.